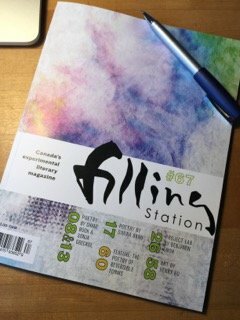 filling Station Magazine is a literary and arts magazine publishing innovative poetry, fiction, non-fiction (creative non-fiction, reviews, articles, interviews, live event reviews, photo essays, etc), and presenting a featured visual artist each issue. 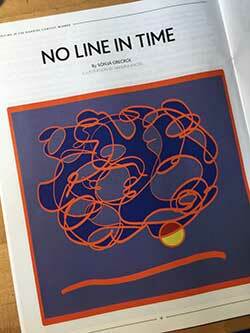 Briarpatch is an award-winning magazine of politics and culture. Fiercely independent and proudly polemical, Briarpatch offers original reporting, insight, and analysis from a grassroots perspective. As a reader-supported publication, Briarpatch is not just devoted to reporting on social movements — it’s committed to building them. 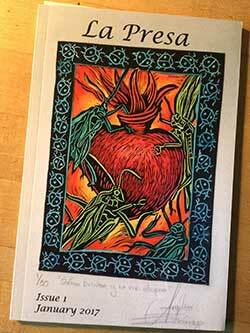 LA PRESA, published three times a year by Embajadoras Press, is a literary journal of poetry and short fiction, articles, essays, and other prose genres, in English and Spanish, by writers from Mexico, Canada, and the USA. Eduardo Navarro, We Who Spin Around You (action documentation), 2016. Photo: Liz Ligon. Work commissioned and produced by The Highline Art, NY. 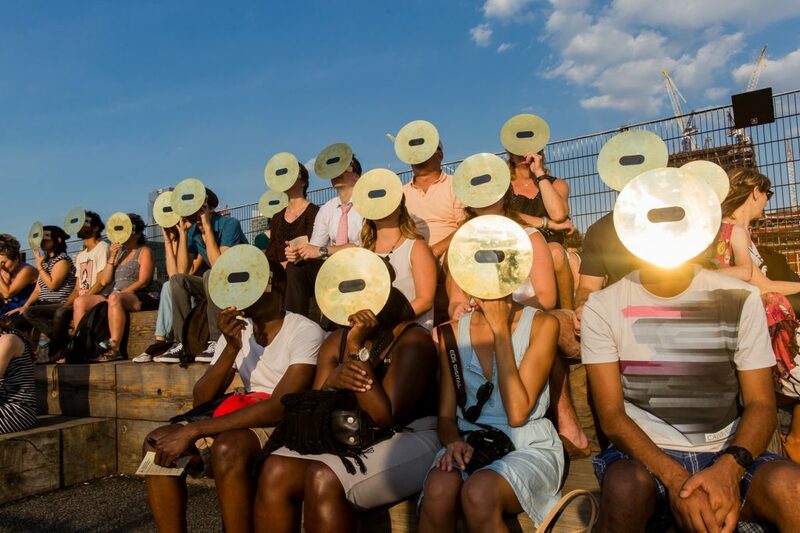 In the evening as the sun begins to lower in the sky, Eduardo Navarro invites participants to don custom-made bronze masks designed to help them safely view the sun, transforming it into a tiny dark green sphere. 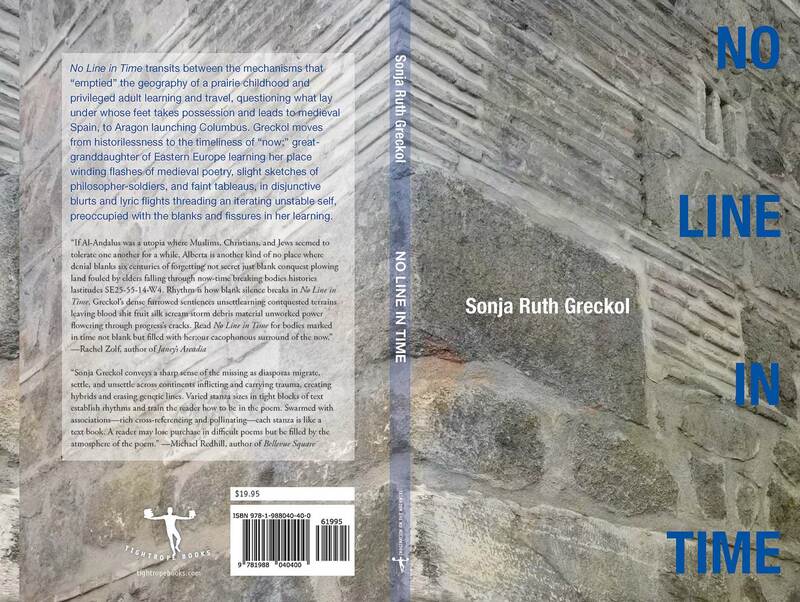 Then, a scientist, scholar, or poet gives a brief lecture or reading on solar history and humanity’s changing relationship to the sun and skies. 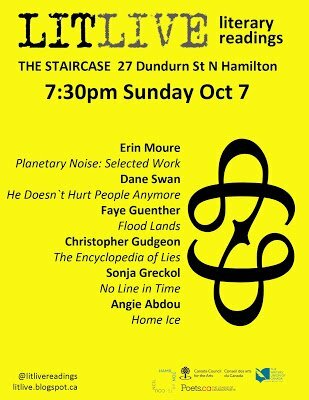 On October 7, 2018, Sonja Greckol joins Erin Moure, Dane Swan, Faye Guenther, Christopher Gudgeon, Angie Abdou! !